Have you entered the Cover Reveal Giveaway? 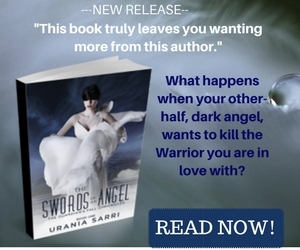 Add THE SWORDS OF AN ANGEL on your GOODREADS shelf! Do miracles happen? Who decides who lives and who dies? What toll does the salvation of a human life take on the brave? Madison is no ordinary girl. Her parents were lost in a hurricane flood where she came very close to death herself, she can’t remember anything about her life before that and she grew up in an orphanage. She is now an academy student at Berksworth Hills where she has moved with her two friends, Blue and Megan, with whom she shares a special bond. Her life changes when she meets the mysterious and brooding trainer, Jerome, another extraordinary creature with peculiar nutritional habits. They are swept up in a passionate romance that unveils the truth about almost everything and everyone around her. Torn between her human nature and that of the celestial creature that possesses her, Madison is driven away from everyone she has loved, Jerome included. She will soon discover that her decision brings repercussions that affect the lives of several others, especially her beloved ones whose lives are now in grave danger. In The Sword of an Angel, miracles do happen, but there is always a reason. Listen to The Swords of an Angel playlist here . Take a sneak peek of the story with these TEASERS. The Swords of n Angel, teaser 3. 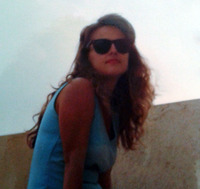 Paranormal fantasy romance by Urania Sarri.